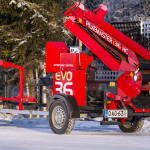 The Pilkemaster EVO-series firewood processors can be tailored to your needs. The frame height can be modified to ensure an ergonomic work position. 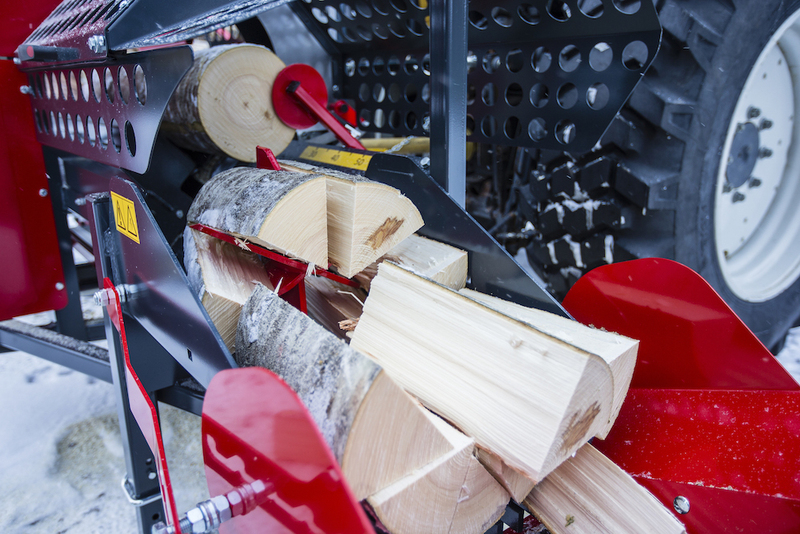 The silent auto-lubricated chainsaw cuts the wood with ease. The open structure underneath the splitting-unit allows for sawdust and other by-products go through and avoid any build-up inside the machine. 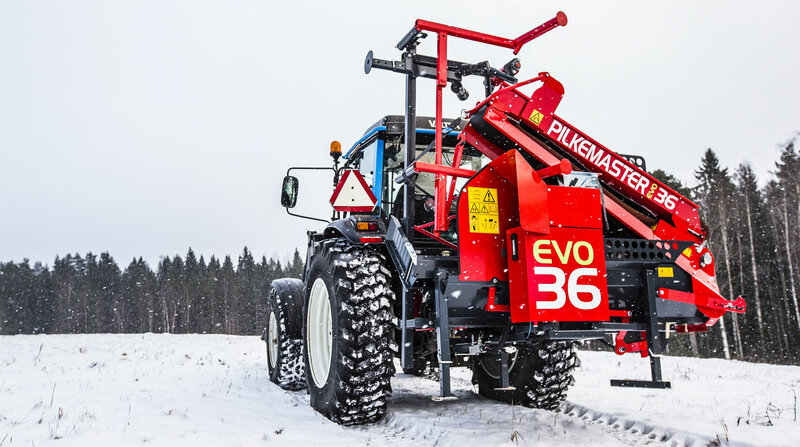 Working with a Pilkemaster EVO is fast, pleasant and effortless. 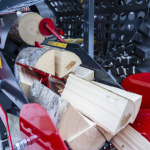 The splitting force and speed on the Pilkemaster EVO 36 firewood processors adjusts automatically depending on the size and hardness of the processed wood. By changing the blade, it is possible to split in2, 4, 6 or 8 parts. With the unique splitting mechanism, you can saw and split multiple small trees at the same time! The EVO-series feature also the optional separate splitting function which allows you to use the machine like a horizontal wood splitter. 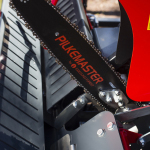 The firewood conveyor of the Pilkemaster EVO is designed for smooth production. The conveyor is silent thus rendering the work more pleasant. The rotating structure allows producing firewood to different locations without moving the machine. You will save time and effort. 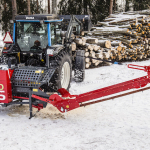 The optional log-deck and log-lifter makes firewood production even easier. 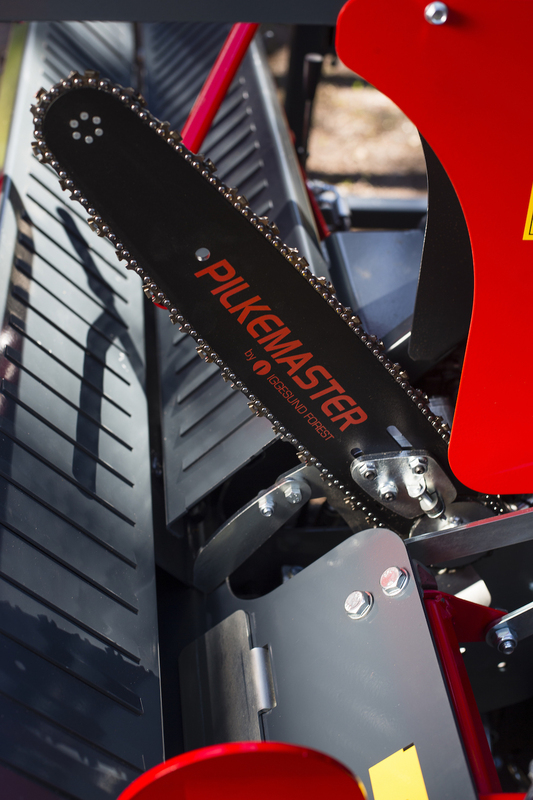 Pilkemaster EVO fits your needs. 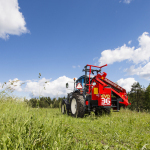 It can use a tractor power-take-off (PTO) or be equipped with a gasoline or an electric engine. It is also possible to combine the PTO drive with an engine. Folding shaft and conveyor makes transportation easy. 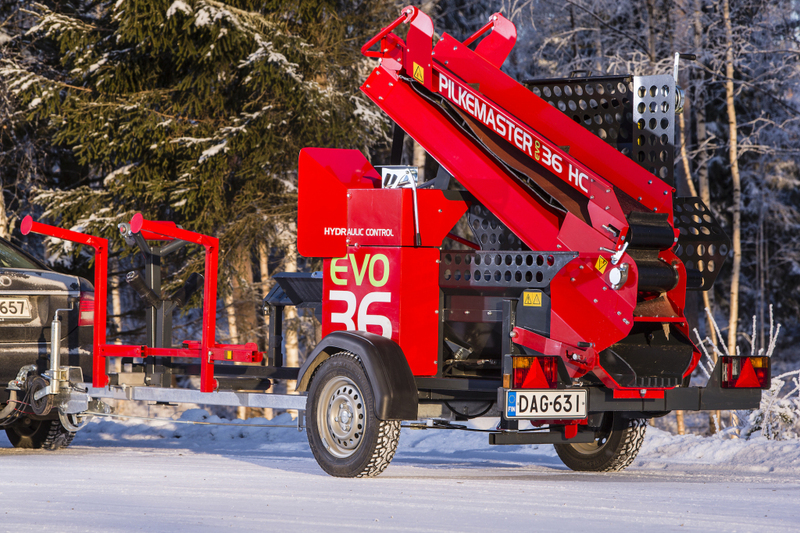 An optional mobile platform can be acquired to transform the Pilkemaster EVO 36 into a trailer.